Flying into St. Maarten, we noticed a few multi-million-dollar yachts in the harbor and sleek jets at the airport. Hailing a taxi, we drove through the town of Philipsburg to the cruise terminal to board one of the most beautiful Windstar sailing yachts. 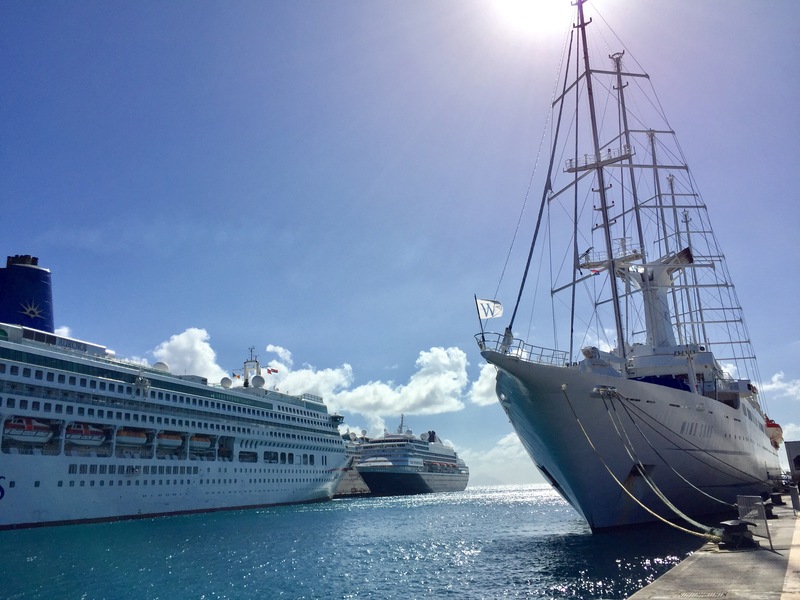 The Wind Surf looked small next to four enormous vessels: a Royal Caribbean ship, Crystal Cruise ship, P & O and a Holland America ship. We reserved two cabins to visit and explore six different Caribbean ports. A smaller boat means fewer lines and shorter wait times. On this particular cruise there were only 281 passengers. The staff to passenger ratio was 1 to 2. At the check-in tent, we walked right up to a staff member and checked in. Then we walked to our ship to have our picture taken for our stateroom card, reserve our dining options for the week–and then took off to explore the ship before inspecting our cabins, 253 and 255. Both cabins were 188 square feet with two twin beds. The soft earth tone decor includes a lot of cabinets and drawers to store items. The closet space is large and there are multiple hangers for formal and cruise wear. The wood floor bathroom has granite countertops and a half-round shower. 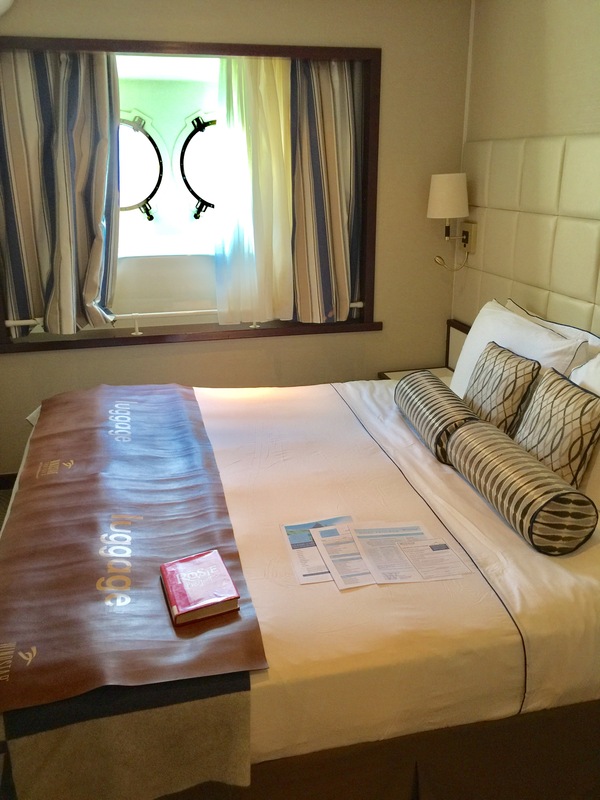 Each guest is offered a white robe and slippers to use during the duration of the cruise. Two portholes bring natural light into the room. 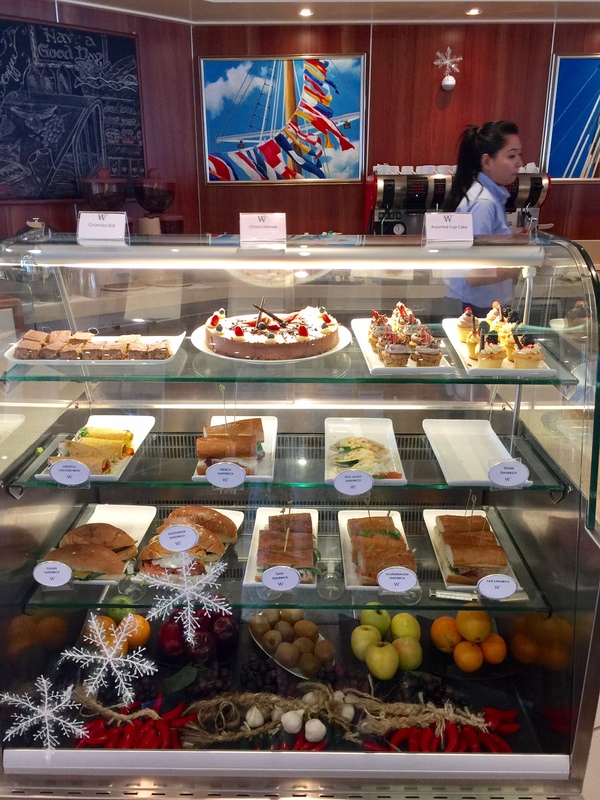 Dining venues on the ship include the Veranda, which serves a buffet breakfast and lunch daily, with a carving station, multiple hot and cold items, a grill and full salad bar. All of the breads are baked in the galley on the third deck. 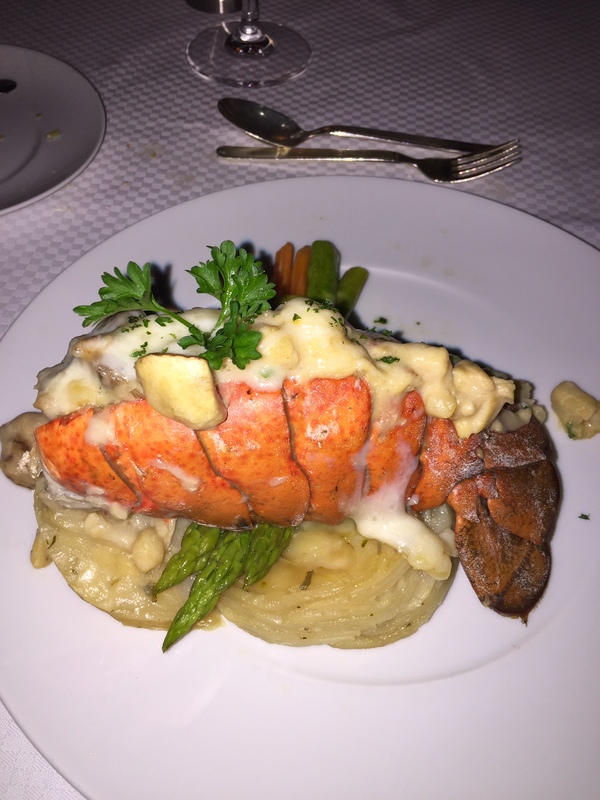 The food is more elevated than it is on some of the large cruise ships. There are also two reservation-only restaurants. Guests enjoy a fine dining experience one night at Stella Bistro and on another evening, an al fresco dinner experience on the deck at Candles restaurant. There is also a casual Yacht Club sandwich and espresso bar open in the morning and afternoons. The kitchen staff prepares an elegant barbecue dinner with live music and dancing, up on the top deck one evening towards the end of the cruise. 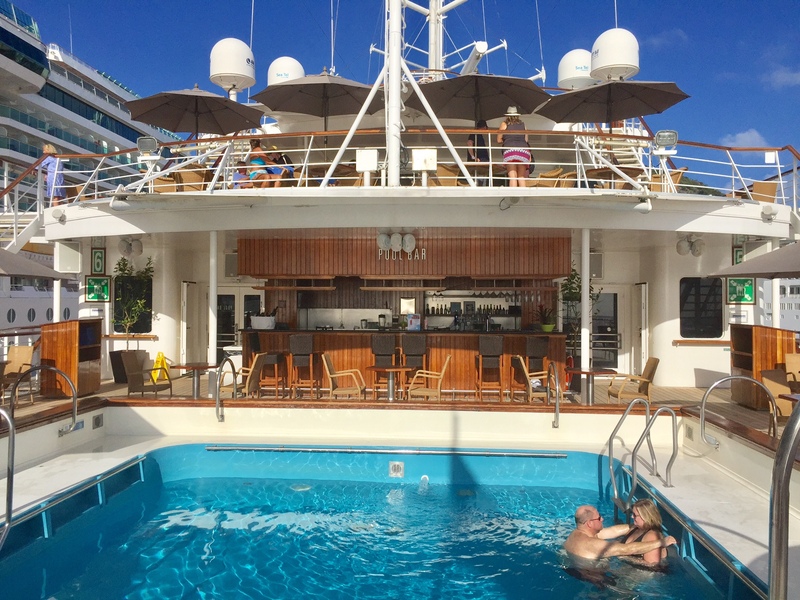 There are two saltwater whirlpool tubs and a pool in the back of the ship with lounge chairs and a full bar featuring a drink of the day. Two decks down, there is an activity deck that is lowered when the ship is anchored. Staff members tether inflatables and help guests into kayaks and on to paddleboards. On the same level is The Wind Spa, which offers relaxing massages, manicures, facials, hair styling and various treatments. A library houses a selection of books that may be checked out and read during the cruise. There are also cabinets filled with game boards, and a DVD library. Many passengers enjoy the 24-hour room service. At night staff members are happy to bring bowls of freshly popped popcorn to your stateroom, to be enjoyed while you watch a movie. 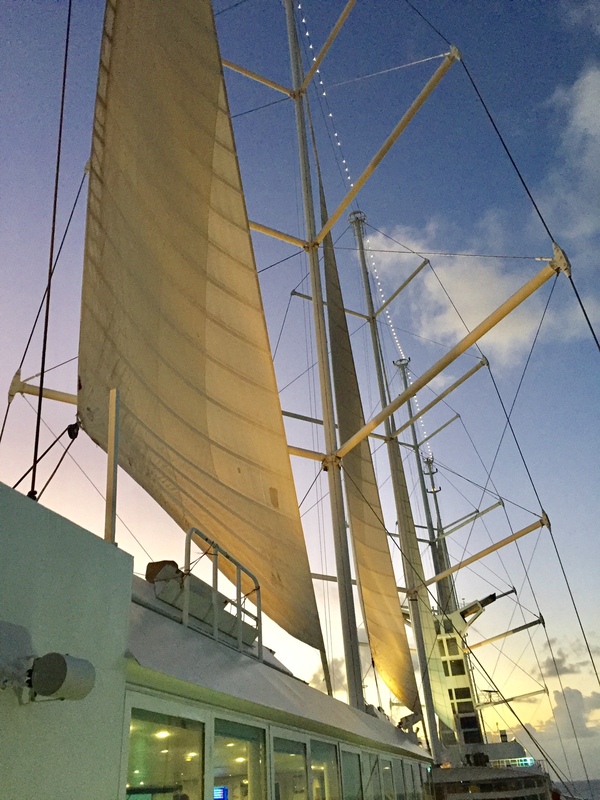 At sundown every night, the Windsurf ship broadcasts sail-away theme music on outdoor speakers, as the first of seven sails unfurl and inflate in the wind. 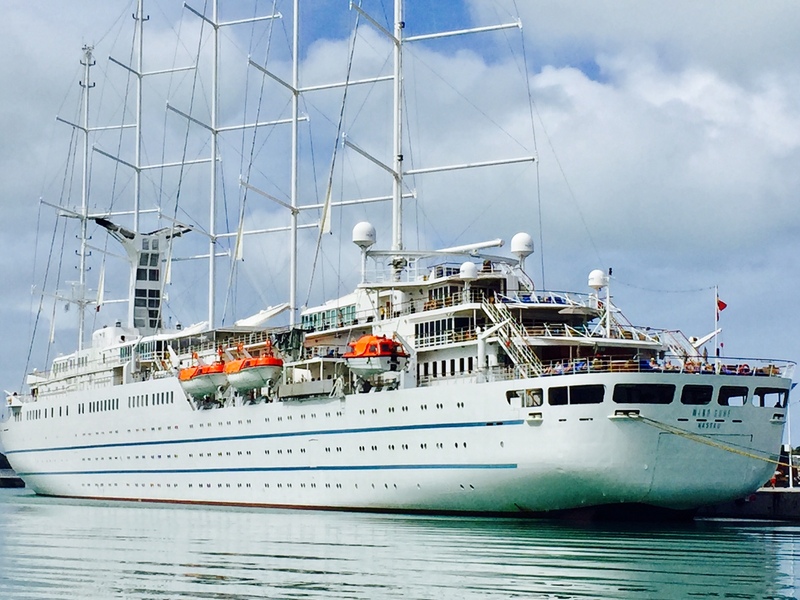 The Wind Surf is a six-deck sailing ship that carries a maximum of 310 passengers. What makes this yacht unique to other cruise ships are its vie tall masts and seven triangular sails. Instead of sailing 10- to-12 knots with its engine, the ship can cut the engine and sail up to 15 knots in the wind. Two different musical venues are available in the evening, and after the dinner hour there is a live entertainment show at the main deck lounge. Each port we visited was unique. 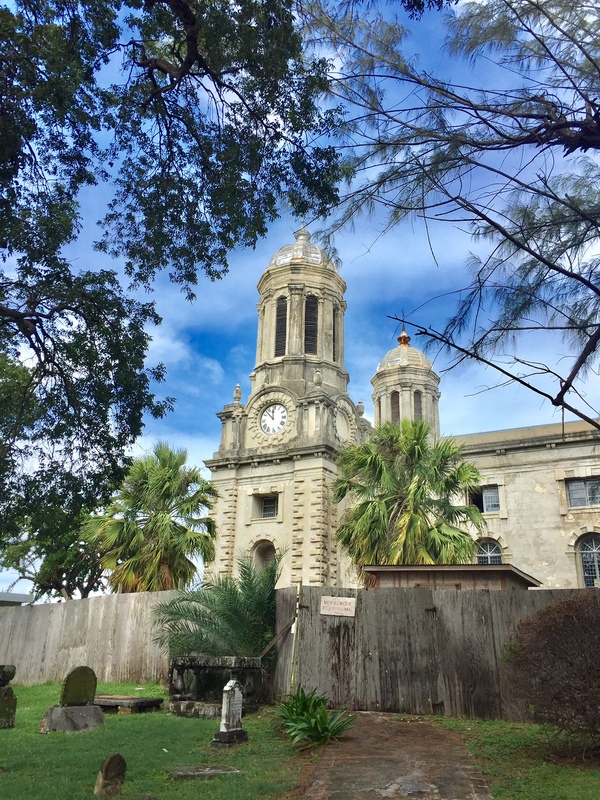 The first day we visited the Island of Antigua and walked right off the boat into the town of St. John. Since it was Saturday, the public market was bustling with locals on Market Street. Men and ladies were dressed in colorful attire purchasing fresh fish, fruit and vegetables to take back home. One of the most interesting sights was the St. John Angelican Cathedral. The two-story church is under renovations due to termites. Inside is a beautiful curved wood ceiling and new termite-treated wooden pews made in Texas. Walking back into the center of town, my companion and I explored the historic Redford Quay with shops, restaurants and a bar. Next, we took a short cab ride to Dickerson Beach to walk on the baby-powder sandy beach and swim in the warm turquoise water. 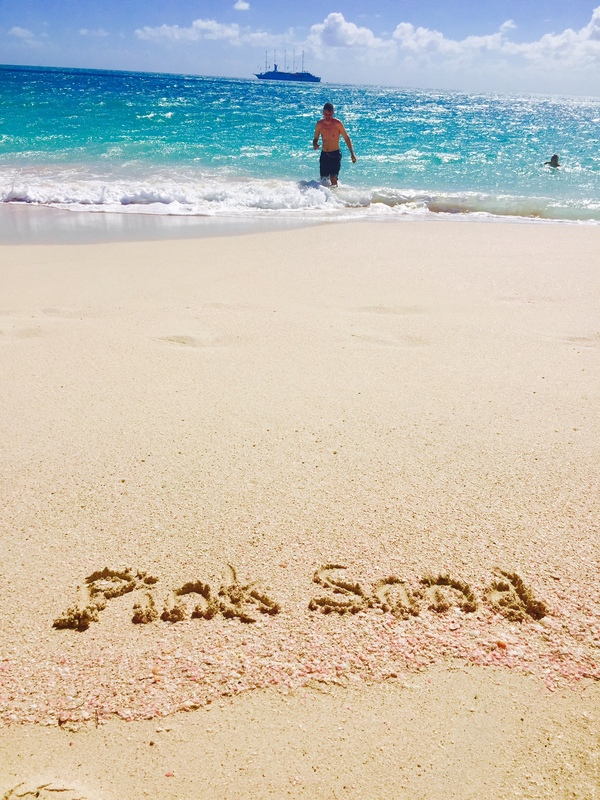 Visiting Barbuda, we enjoyed walking on the pink sand beach and seeing the Leeward island’s frigate bird sanctuary. It’s a fun snorkel area with miles of soft sand to walk on along the water’s edge. While on the island of Dominica, we reserved a river tubing excursion. Dominica is the most lush and green island we visited, with rain forests, rivers, and a champagne beach. We floated on tubes along a river framed with bamboo and palm trees. During the middle of the week we visited Pigeon Island in St. Lucia. The Windsurf staff brought the water activities on shore, with kayaks, sailboats and a water-skiing boat for guests to enjoy. The kitchen staff prepared an upscale beach barbecue lunch. The fitness instructor offered a beach yoga and Chi Gong class on the grass. After lunch we hiked to the top of Fort Charlotte, which had original cannons and offered beautiful views of the island. My favorite port was Gustavia, the capital of St. Barts. Anchoring off the island, there were over twenty different multi-million dollar yachts anchored nearby. Once we tendered to shore, we walked around the island to explore Fort Gustav and swim at Shell Beach. 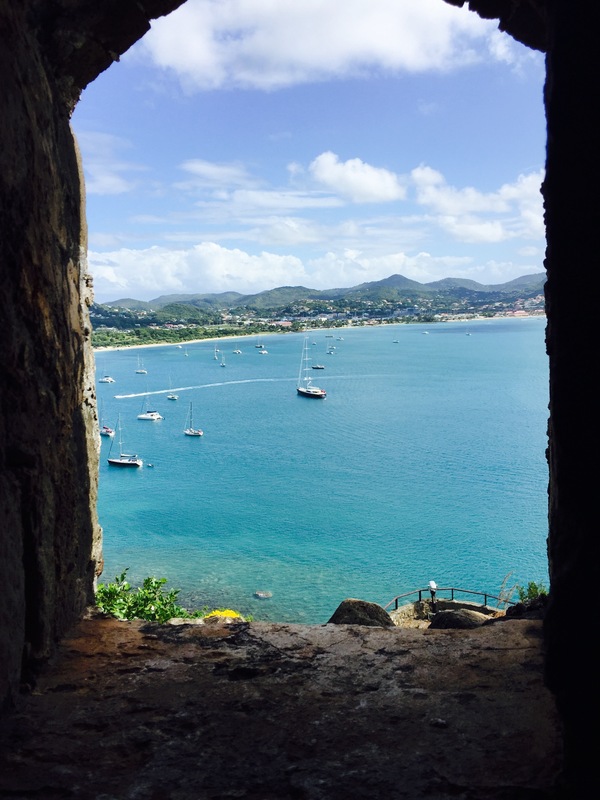 St. Barts has a French and Swedish atmosphere due to its history. First claimed by the French, the island was given in trade to Sweden in 1784. Gustavia was named after King Gustav III of Sweden. Then the island was sold back to France in 1878. Today it is one of the favorite islands for the Rich and Famous. 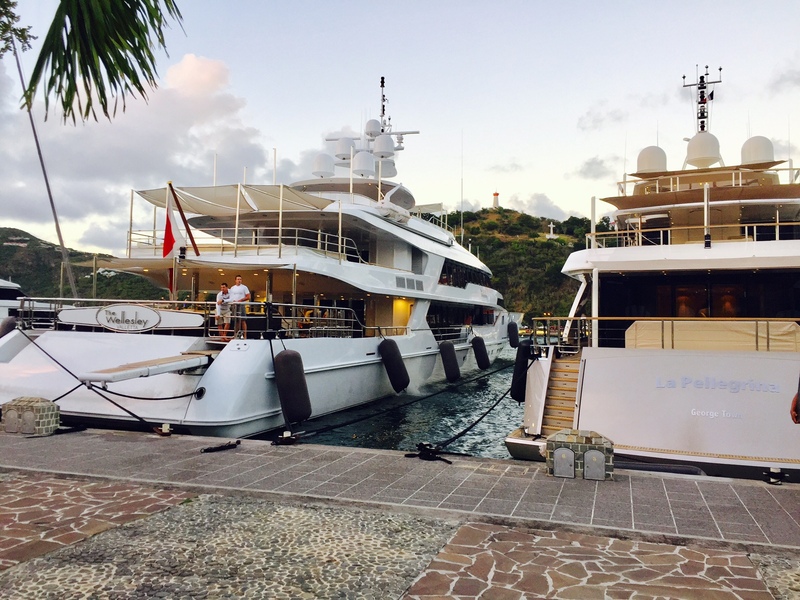 The town of Gustavia offers high-end shopping and dining for boaters. 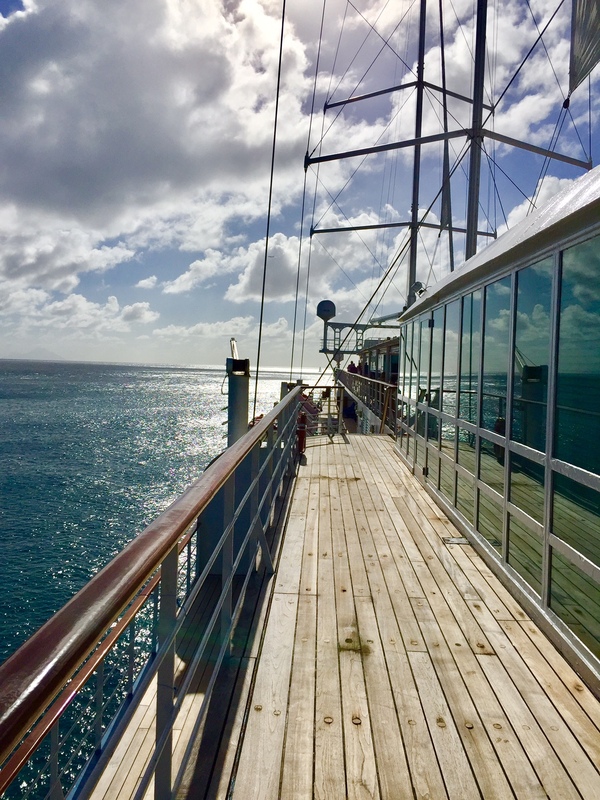 Taking a Windstar cruise is more intimate than sailing on larger cruise ships; you feel as if you are on a private yacht with a group of friends. During 2017, Windstar ships will be cruising to the Mediterranean, Italy, Greek islands and Turkey, Northern Europe, Tahiti, the Caribbean, Costa Rica and Panama and will also offer a few ocean crossings. To learn more, talk to a cruise specialist or visit http://WindstarCruises.com.